MoviePass has been accused of a bait and switch scheme by two subscribers in New York. Lawrence and Laurie Weinberger allege that they were only able to see three movies in ten months due to the app's latest blackout practice and faulty app. The latest lawsuit follows one that was launched in San Francisco over blackouts and claims that MoviePass didn't hold true on its promises. The news comes as the subscription service is trying to get back on its feet after a tumultuous year. MoviePass started a new plan of unlimited movies for $9.95 at the end of 2017. To many, that deal seemed way too good to be true, and it was. Movie theaters were instantly turned off by the deal and the subscription service gained over 3 million subscribers in a short amount of time and the company was not able to keep their promises, leading to restrictions for current subscribers. 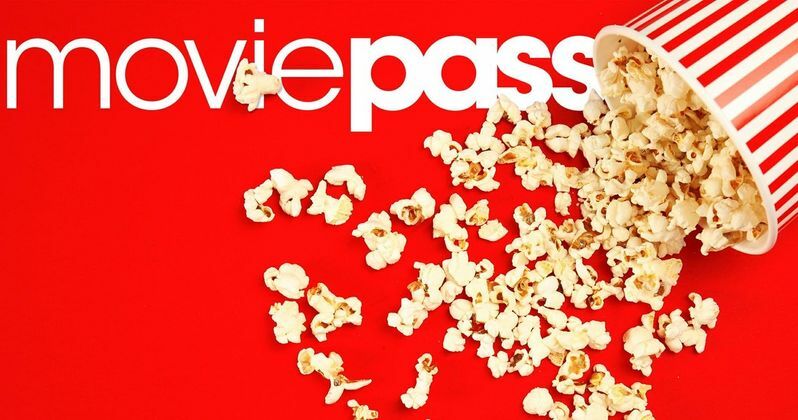 Lawrence and Laurie Weinberger claim that MoviePass engaged in a "deceptive and unfair bait-and-switch scheme" when they purchased their annual passes early last year. Subscribers were able to see one movie per day on the original plan, but things started to go south rapidly. Soon MoviePass subscribers were only able to see certain movies at certain times and they weren't able to see some movies at all, which in turn made subscribers get angry. Adding to the anger was the practically non-existent customer service, which made dealing with any of these issues almost impossible. However, these latest lawsuits should get MoviePass listening about their past business practices. The New York lawsuit seeks to represent all customers who subscribed to the service between February 2013 and August 2018. The new lawsuit comes just as MoviePass announced another set of price and subscription changes in hopes to keep their paying subscribers. Pricing is set to fluctuate, depending on the location, but a $9.95 "Select" service allows subscribers in middle America, where tickets are usually cheaper, to see three movies a month at some point during a specific theatrical run. From there, the prices get higher and offer more services, like IMAX and 3D movies. It is believed that the company is about to announce another unlimited service in the next few weeks. For now, the future of MoviePass looks grim. However, we have been saying that for months and the company is still, barely, afloat. Trying to partner with movie theaters is a great start, but MoviePass has a long road ahead of them, especially with competitors popping up left and right. There will definitely be more news dropping soon since these lawsuits are new, so we'll keep everyone posted. Hopefully, MoviePass is able to get its act together and deliver on their promises to paying subscribers. The MoviePass subscriber lawsuit news was first reported by Variety. Major Studios to Begin Fighting for Early VOD Releases in 2019?